has been locally owned and operated for over 10 years by the Gordon family. 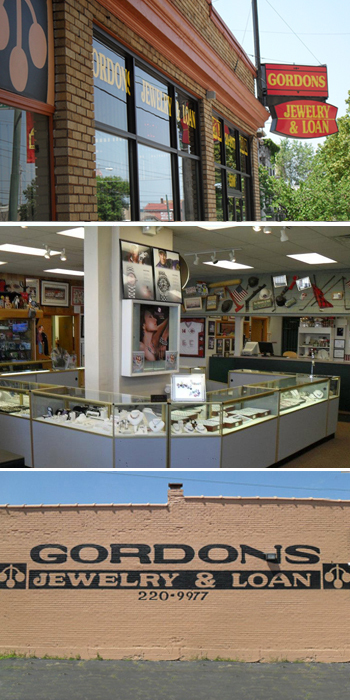 Operating within historic inner East Dayton, we’ve established ourselves as the foremost jewelry & exchange shop. Give us a call, or stop in and see why so many choose to work with Gordons. We encourage you to explore our site for services and information. coins, tools, electronics, and more. Same day repair service offered. and unique fashions to the Dayton area. We loan on anything of value. We have plenty of room for parking, right next to our building. Look for the ‘GORDONS‘ lettering! Let us know how we’re serving you by leaving us a comment.